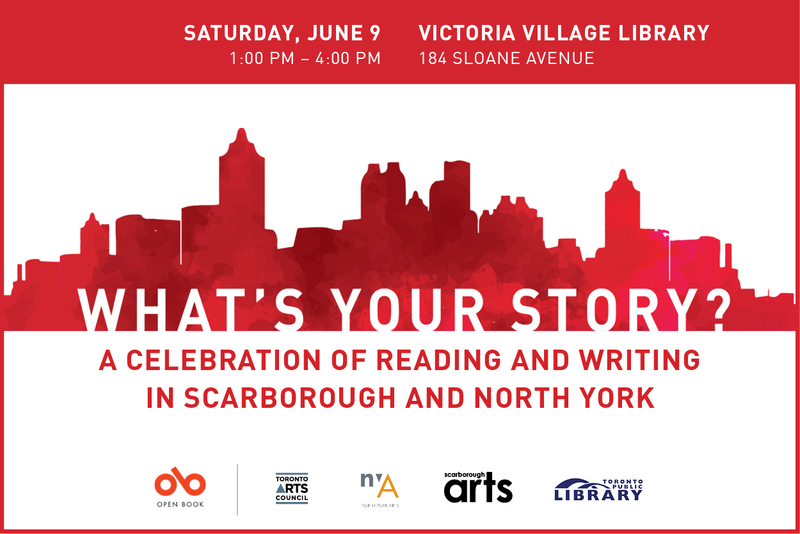 Join in a celebration of reading and writing in North York and Scarborough hosted by award-winning author Catherine Hernandez. Presented by the Ontario Book Publishers Organization, the Toronto Arts Council, North York Arts, Scarborough Arts and the Toronto Public Library. 1:00 – 1:15 pm – A special presentation by Veronica Johnny. The What’s Your Story, North York writing competition winners read their North York inspired works. The What’s Your Story, Scarborough writing competition winners read their Scarborough inspired works. This workshop will give participants tools to liberate themselves from the confines of “conventional” storytelling and find truth in their own literary voice. Participants can expect quick exercises to awaken and empower the writer within. Writers, this is your opportunity to chat one-on-one with publishers: Quattro Books, Guernica Editions, Dundurn Press, Cormorant Books, ECW Press and Inanna Publications and get the inside track on what publishers are on the lookout for. Words Rhymes and Life will be onsite and happy to chat about Saving the Novel. These authors’ works have been published in an anthology that will be available for free to all attending.